The main research interest of the Molecular Carcinogenesis Group (MCG) is focused on deciphering the molecular mechanisms involved in the development of neoplastic disease. 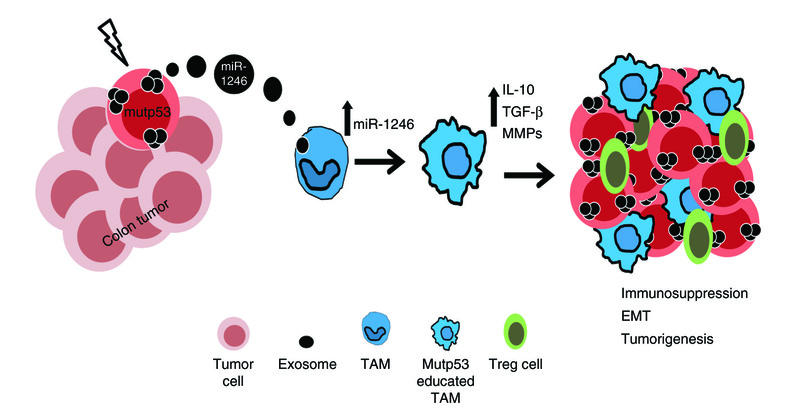 The MCG has long been involved in the investigation of the mechanisms leading to deregulation of the cell cycle and the emergence of genomic instability in cancer [see achievements i-iv]. 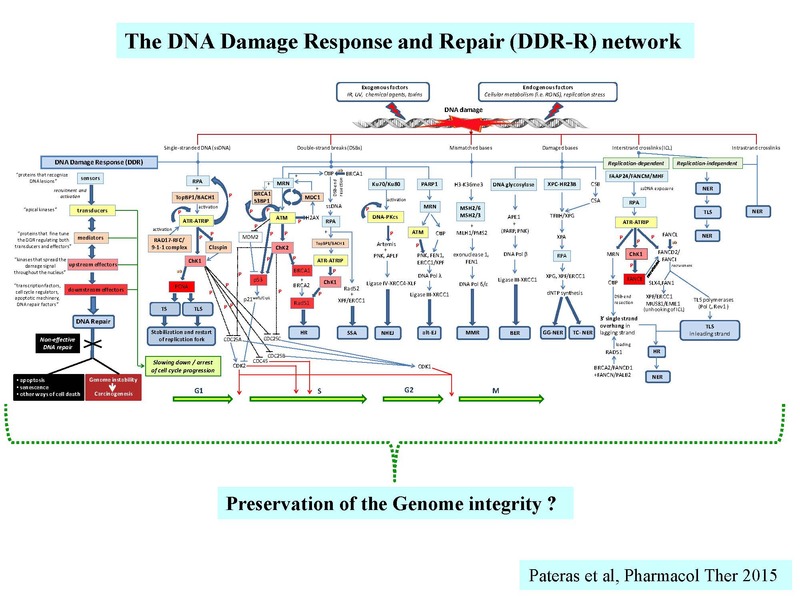 Aberrations in the pRb/E2F, DNA damage response and repair (DDR-R) and p53 pathways/networks have been the aims of intense research. 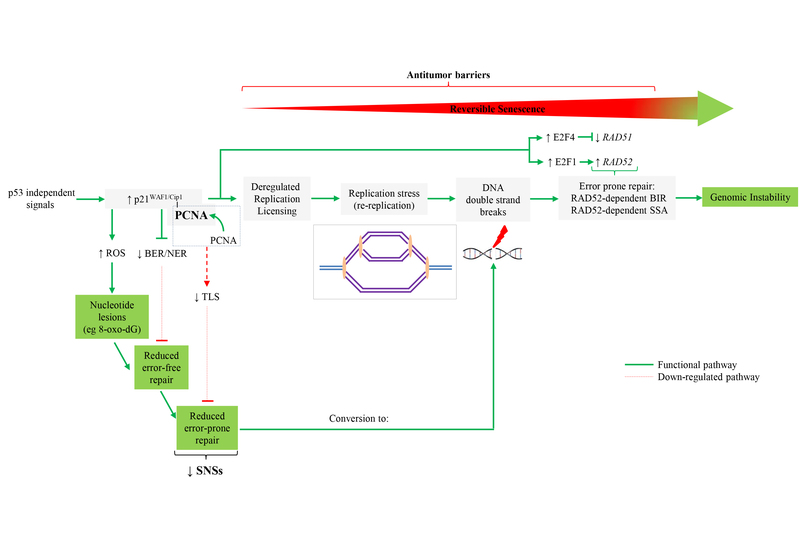 Based on the extensive molecular pathology experience that the group possesses, notable clinic-pathological observations are functionally recapitulated in vitro and in vivo, aiming to decode the underlying mechanisms driving aberrant cellular behavior. 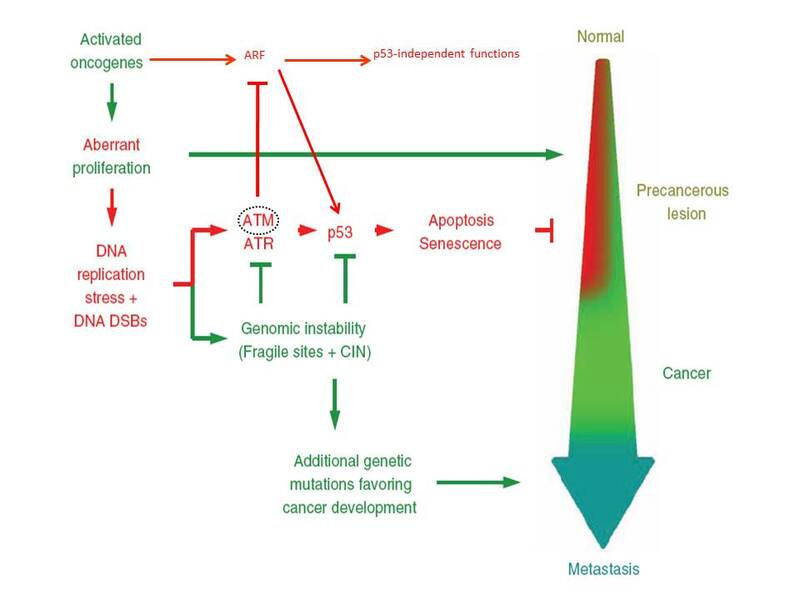 Within this context we are particularly interested in the role of cellular senescence in cancer, and other age-related pathologies, as well [achievement v]. MCG is also investigating the role of inflammation during neoplastic as well as non-neoplastic diseases. 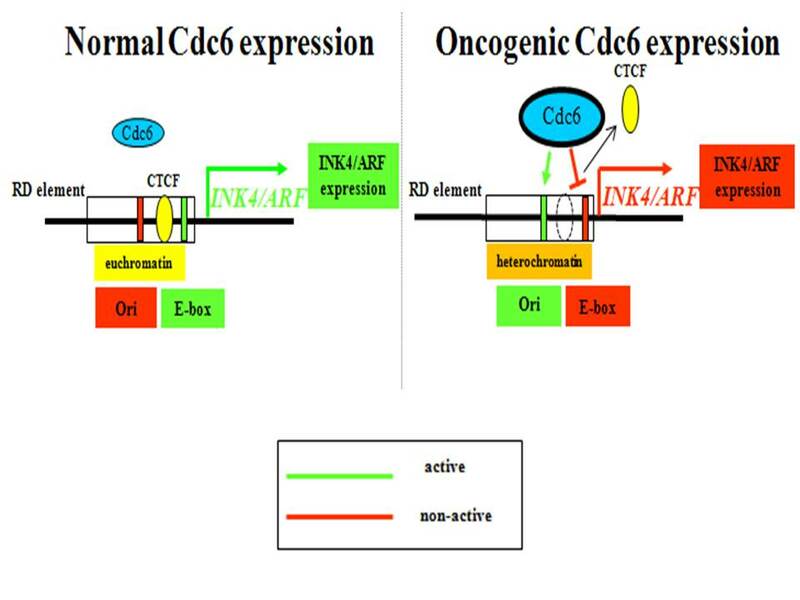 We have contributed in unraveling the systemic impact of DNA damage response aberrations in inflammatory-driven cancer [achievement vi]. In the advent of digitized medicine where the size of data exponentially increases, machine learning frameworks are entering the scene allowing us to effectively utilize the massive amount of information generated on a daily basis. Consequently, we are developing digital pathology tools that increase the efficiency and speed of diagnostic and therapeutic approaches and thus deliver personalized care opportunities for patients. MCG has recently expanded its research interests towards Nanotechnology applications in human disease and life sciences. 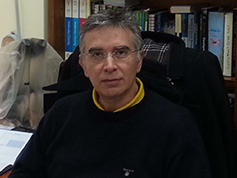 In collaboration with the Laboratory of General Chemistry at the National Technical University of Athens (N.T.U.A. ), we aim to develop innovative nanoparticles with the potential to act as anticancer agents, in parallel with the discovery of advanced drug delivery systems for targeted therapeutic approaches. Apart from the research activities, MCG is providing molecular pathology services. As an active collaborator of the European Society of Pathology, MCG is participating in the annually K-ras European Quality Assurance Program, related to the anti-EGFR therapy. 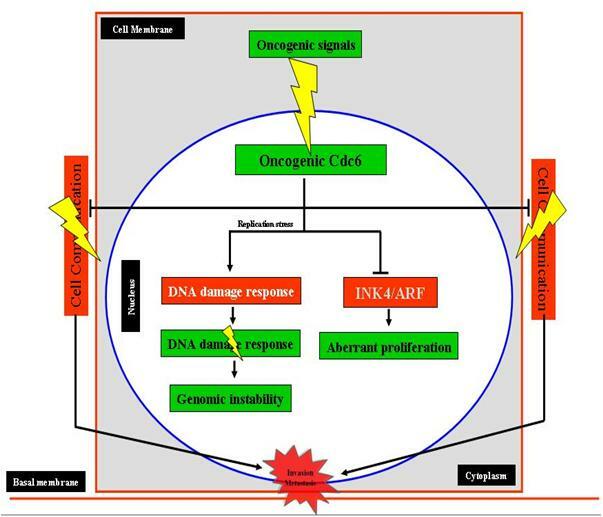 i) Establishing the “Oncogene-induced DNA damage model for cancer development” (Science 2008; Nat Rev Mol Cell Biol 2010; J Pathol 2018) (Figures 1-6, 8). Based on: Nature 2005; Nature 2006; J Pathol 2006; Cancer Res 2007; Oncogene 2008; Blood 2008; Am J Pathol 2009; Cancer Res 2012; Cell Death Differ 2014; Cell Mol Life Sci 2014; Cell Rep 2015; Nat Cell Biol 2016; Genome Biology 2018; J Pathol 2018 and currently the broader role of DNA Damage response pathway in disease development (Cell 2016). 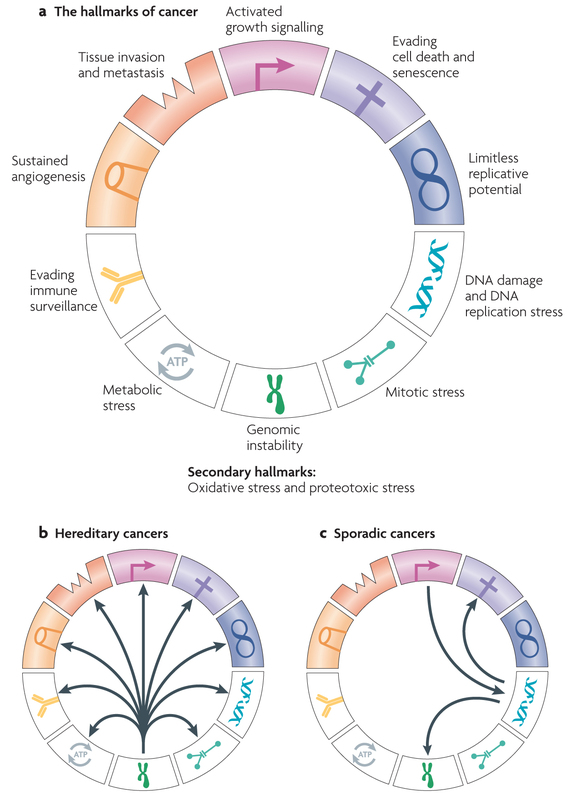 ii) Demonstrating that oncogene-induced senescence is a DNA damage stress response acting as a barrier to cancer (Nature 2006; Cancer Res 2007; Am J Pathol 2009; Curr Opin Cell Biol 2010; Nature Genetics 2011; Nature Cell Biol 2011; Cell Death Differ 2015; Nat Cell Biol 2016; BMC Genomics 2018; Genome Biology 2018) (Figures 2,5,6). iii) Clarifying the functional interplay and the timeline of events underlying the two major antitumor checkpoint responses, i.e. 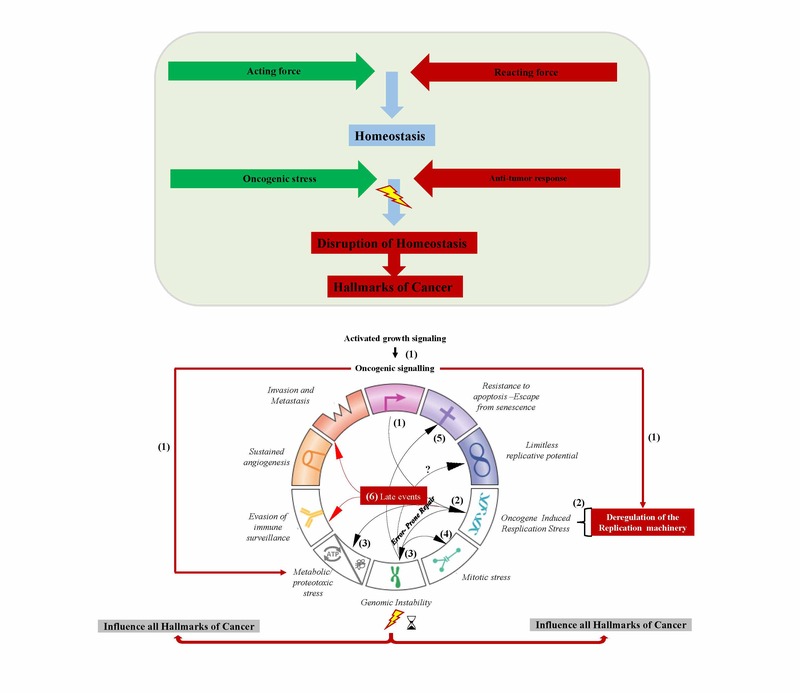 DDR and ARF (Nat Cell Biol 2013; Cell Death Diff 2013; Cell Cycle 2014) (Figure 2). 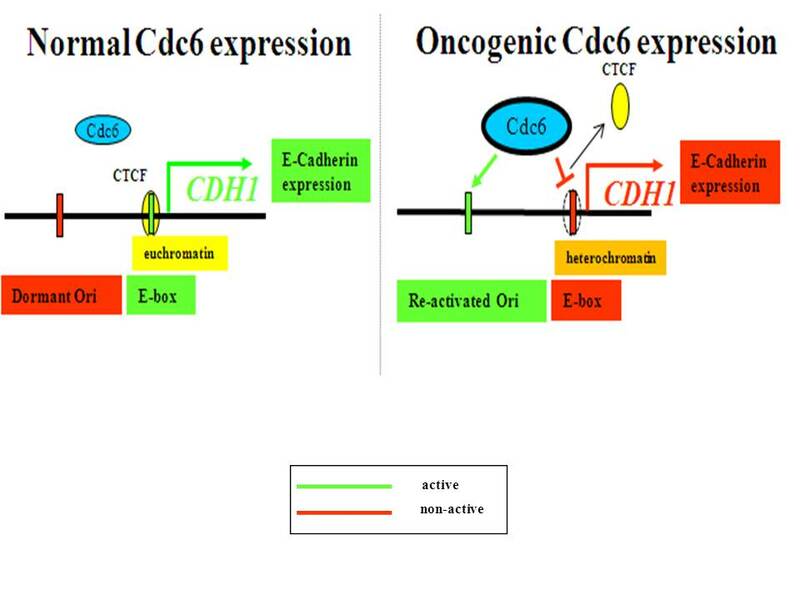 iv) Revealing the oncogenic role of replication licensing factors Cdc6 and Cdt1 by inducing DNA replication stress and deregulating transcription (Am J Path 2004; Nature 2006; Cancer Res 2007, J Cell Biol 2011; Transcription 2012; Semin Cancer Biol 2016; Nat Commun 2016; Nat Cell Biol 2016; PNAS 2016; BMC Genomics 2018; Genome Biology 2018) (Figures 2-6). v) Understanding how cellular senescence is involved in age-related pathologies, including cancer (EMBO J 2003; Lab Invest 2005; Nature 2006; Am J Pathol 2009; Mech Ageing Dev 2016; Aging 2013; Aging Cell 2013; Stem Cells 2013; Cell Death Differ 2015; Mech Ageing Dev 2016; Mech Ageing Dev 2018; Pharmacol Ther 2018; J Pathol 2018; Int. J. Mol. Sci. 2018) (Figures 2,5,6,8). 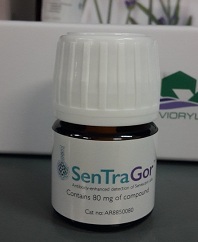 Our research has led to the development of a pioneer senescence biomarker (commercially available under the trademark SenTraGorTM) able to detect senescence in any biological material including archival (Aging 2013; Aging Cell 2016; Pharmacol Ther 2018; Int. J. Mol. Sci. 2018; Meth Mol Biol 2019). vi) Contributing to our understanding of the role that inflammation plays in cancer development (Cancer Cell 2013; Cancer Cell 2014; Pharmacol Ther 2015; Cell Rep 2016; Nat Commun 2018) (Figures 7,8).